CREEPY CAMPFIRE: Gather 'round the fire ring for some Halloween season stories at Vasona Couty Park in Los Gatos Saturday night. Bring a blanket, a flashlight and someone to snuuggle with as you find out about the night life in the wild. Not the kind you find wandering the city streets -- but, rather, the natural world. 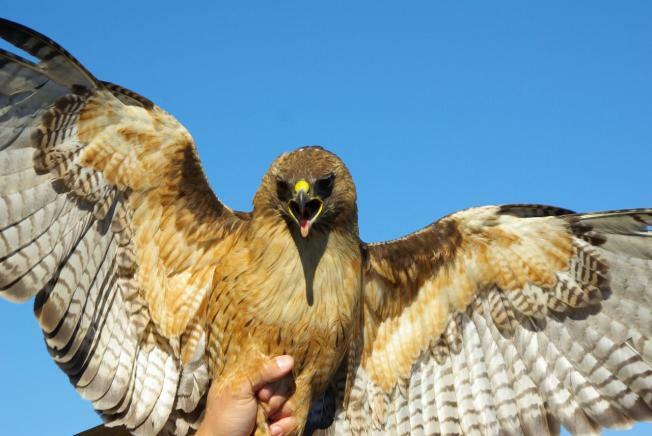 Meet next to the ranger's office at 6 p.m.
RAPTOR FEST: Celebrate the volunteers of the Golden Gate Raptor Observatory program at an appreciation and education event on Saturday and Sunday. The Flight of Dedication 25th anniversary event takes place at Fort Cronkhite at Rodeo Beach. Get a close-up look at some of the raptors that soar the Bay Area skies while learning about how the volunteers track and care for the birds. BULLSEYE! : Everyone should know how to use a bow and arrow. OK, maybe not everyone, but if you're one who wants to know how, go to Golden Gate Park Sunday for hands-on lessons in archery. Learn and hone your skills then hang out for the after-chat at a BBQ lunch. It costs between $30-$45 and starts at 11 a.m.